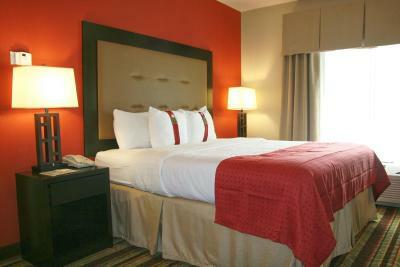 Lock in a great price for Holiday Inn Blytheville – rated 9.1 by recent guests! Front desk staff went the extra mile to get us rooms together. Kids loved the pool. Excellent staff, super clean rooms and bathrooms! Very comfortable beds. Extra pillows. Great t.v. channel selection. Quiet. Pool outside of room, the free meal next door, since No continental breakfast was included. We come back everyone we take a road trip between Dallas and Chicago. We like the pool and spa area, plus the connected restaurant for dinner. Location is great - right off the freeway in Blytheville. Great for travelers and pet friendly. Get a room on the 3rd floor - quietest hotel room I’ve ever had! Some how I was booked for 4 rooms when I scheduled our stay through “Booking.com”. The staff at the front desk was able to correct it. This made me a happy resident for the night. Thank you. Our stay included breakfast. The choices for breakfast were far more than I expected. And to boot! It was a very well prepared breakfast. Thank you once again! The indoor pool are was very spacious with a hot tub. My family enjoyed their stay at the Holiday Inn. Room was very quiet except when the A/C was operating which was most of the time. Room was very clean. We enjoyed having a cocktail lounge on site with the restaurant..
A great bistro for dinner in the building and a Perkins attached for breakfast. Holiday Inn Blytheville This rating is a reflection of how the property compares to the industry standard when it comes to price, facilities and services available. It's based on a self-evaluation by the property. Use this rating to help choose your stay! This pet-friendly Blytheville, Arkansas hotel is 16 miles from Big Lake National Wildlife Refuge. Indoor and outdoor pools are available and guest rooms offer free Wi-Fi. 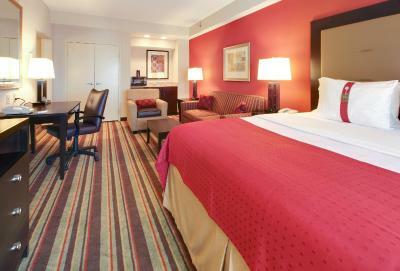 Holiday Inn Blytheville provides each guestroom with a microwave, refrigerator and coffee facilities. The rooms include flat-screen cable TVs with pay-per-view movies and video games. A small gym is available at the hotel for guests’ use. 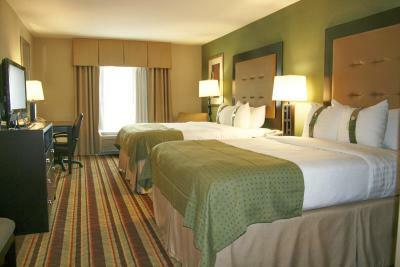 Blytheville Holiday Inn offers a business center and laundry facilities. Guests can have a drink at the on-site cocktail lounge. Bistro Eleven 21 serves dinner, pizza and fresh fish. Perkins Family Restaurant & Baker offers breakfast, lunch and dinner with daily pastries. The hotel is 1.5 miles from The Ritz Civic Center. Thunder Bayou Golf Course is also 1.5 miles away. This property also has one of the top-rated locations in Blytheville! Guests are happier about it compared to other properties in the area. This property is also rated for the best value in Blytheville! Guests are getting more for their money when compared to other properties in this city. 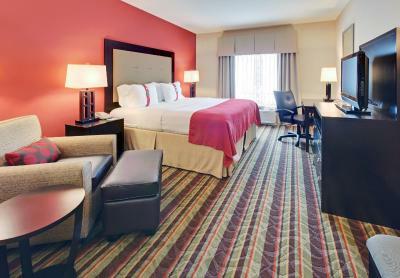 When would you like to stay at Holiday Inn Blytheville? A 32-inch flat-screen TV is provided in this room. A microwave and refrigerator are included. A 32-inch TV and chair with ottoman are featured in this room. A microwave and refrigerator are provided. Provides 2 TVs and a seating area with sofa bed. This accessible room has a flat-screen TV with premium cable channels. A microwave, refrigerator, and coffee-making facilities are provided. This studio features a seating area, air conditioning and cable TV. This suite has a seating area, tile/marble floor and sofa. This double room has a microwave, air conditioning and tile/marble floor. This double room features air conditioning, tile/marble floor and microwave. House Rules Holiday Inn Blytheville takes special requests – add in the next step! Holiday Inn Blytheville accepts these cards and reserves the right to temporarily hold an amount prior to arrival. I was not aware of using booking.com till I got here and realize that I could have saved a lot more money just calling them and they said there's nothing they could do about that which I feel they could have. Didn’t have more time to enjoy the amenities. I can't think of anything I didn't like about this hotel. The Perkins next door needs refurbishing in order to maintain the standards of the rest of the services. The price was a little high for one night. However, it did include a free breakfast voucher for up to $20. The bed was super comfortable! The room was very spacious!